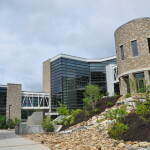 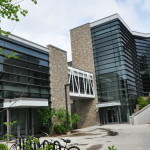 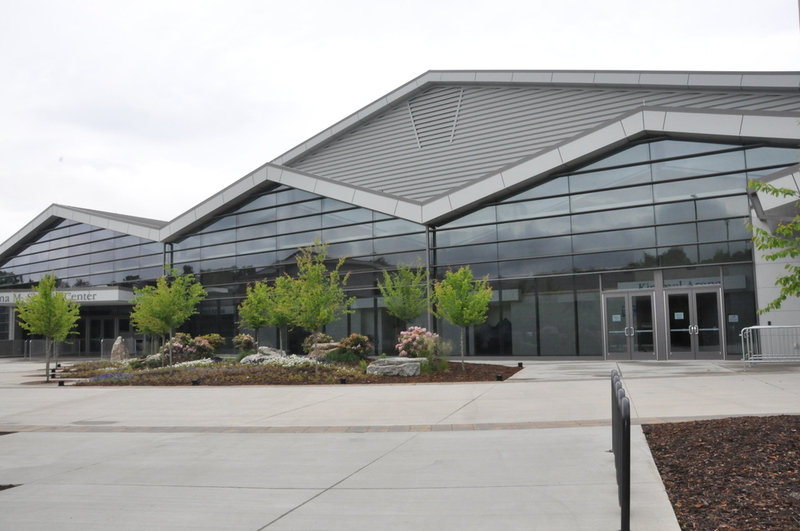 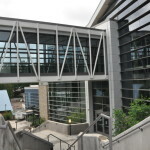 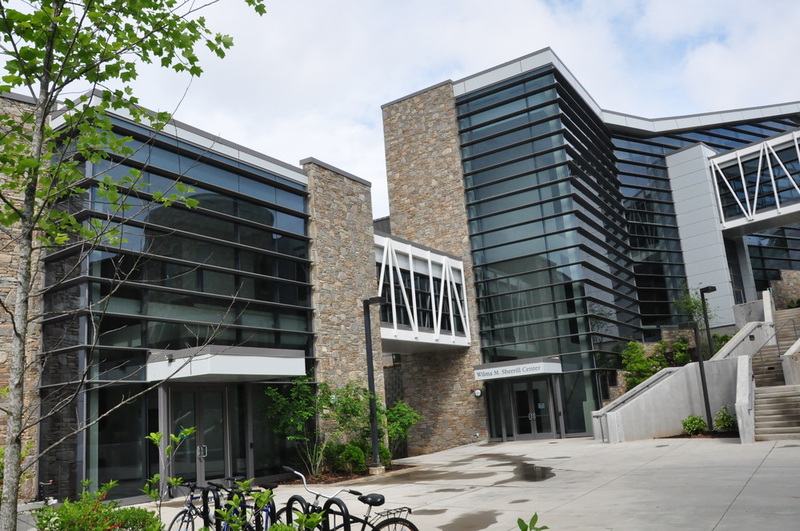 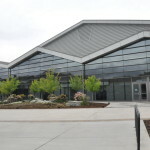 University of North Carolina – Asheville – Graham-Hodge Associates, Inc. 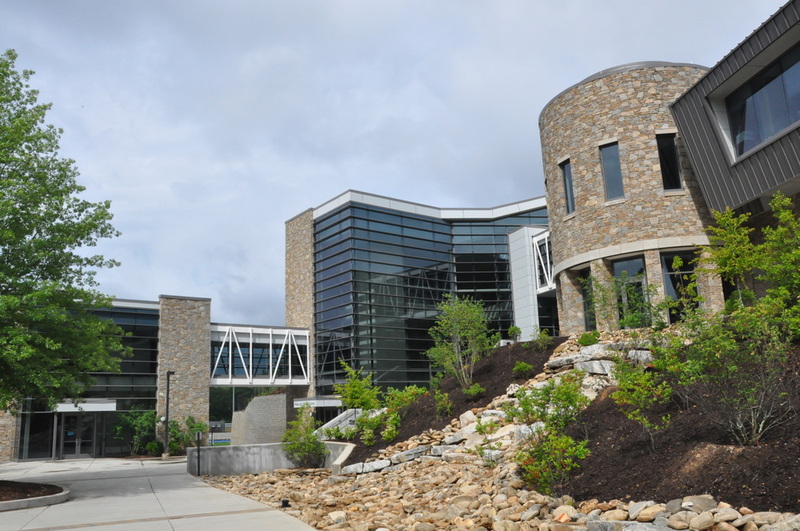 The hero of this college wellness facility is the undulating roof and glass wall, which was designed to mirror the Blue Ridge Mountains that surround it. 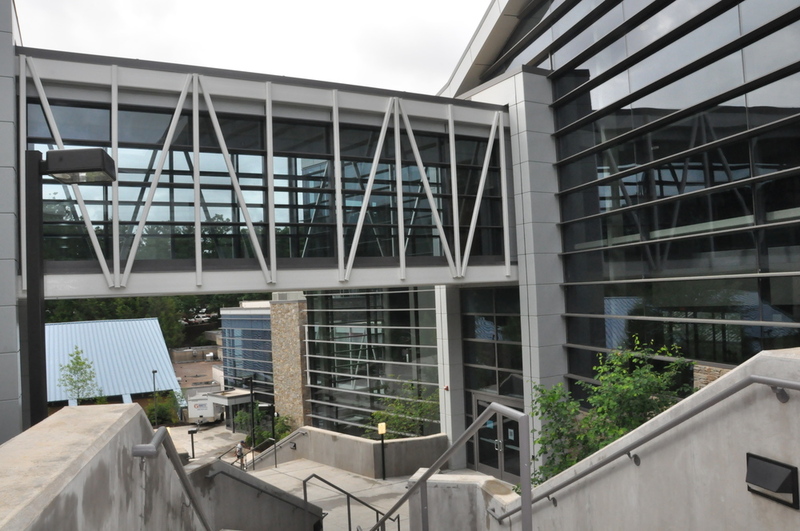 The curtain wall is over 250 feet long and has a sloped head condition.